Tamil Nadu came down heavily on the stance of the new chief minister saying that the matter was settled by the Supreme Court. “It might be Kumaraswamy’s opinion, but they (Karnataka) will have to implement the SC judgment. We don’t care what Kumaraswamy says, we are only interested in what the SC has said,” said Tamil Nadu fisheries minister D Jayakumar on Monday. But what is an issue of concern for Tamil Nadu that is the fact that the ruling Janata Dal (S) in Karnataka has in its election manifesto asserted that the party will rectify the injustice done to the state on the Cauvery issue. Karnataka’s would be chief minister also took exception to Rajinikanth statement on Cauvery and invited him to see for himself the situation in Cavery river that was dry at the moment. 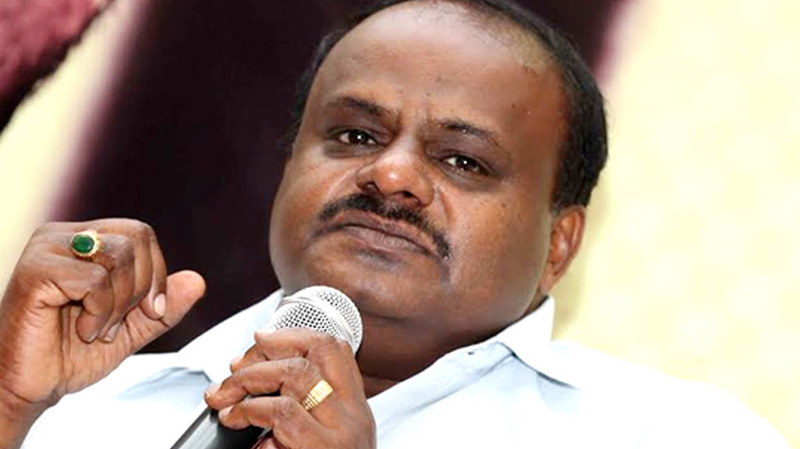 He can bring along TN MLAs along and see for themselves that how reservoirs were empty and only when they see the empty river and reservoirs that they would understand the what Karnataka was saying was the truth, Kumaraswamy told media persons at Srirangam on Sunday. He had visited the temple in Srirangam to pray before he swears in as the CM on Wednesday. Kumaraswamy said the Cauvery issue could only be settled through talks and an amicable solution be found.